When it comes to AOV’s & Smoke Ventilation systems within residential blocks MJ Fire Safety are specialists. Most new developments or purpose-built residential blocks will have a system to remove dangerous smoke from escape routes. 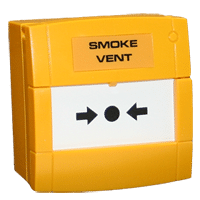 AOV’s or automatically opening vents are designed to allow free egress to evacuating residents. Furthermore they also safe fire fighting lobbies and shafts for fire fighters. Management companies and committees and the responsible person for fire safety within the premises are responsible for the ensuring statutory inspection & maintenance of smoke ventilation systems. Our management & maintenance teams can help you put together service logs & testing schedules to ensure you meet this statutory requirement and ensure your building’s system is compliant. The building occupants’ safety relies on your regular maintenance of the Automatic Opening Ventilation (A.O.V.) system. Typically, we will schedule six monthly maintenance visits. Furthermore our service agreement allows access to our 24 hour emergency call out service & technical support over the telephone. If you’ve ve any questions about whether your building needs a smoke ventilation system maintenance & inspection regime, please telephone or email us. We will advise you of what is required & consequently how this can be implemented as quickly and smoothly as possible. Furthermore if you’ve had actuators fail, vents not open or if your system is indicating any faults we can assist. Please get in contact with us and we can arrange for an engineer to attend.